I took my six-year-old little brother to see The Muppets. He was excited. Not because he’s ever seen an episode of the original series, or any of the previous feature films or even the Muppet Babies cartoon, which remains memorable to those of us born in the early 80’s. He was excited because there were furry creatures being silly during commercial breaks of Phineas & Ferb. They might as well have been a new franchise. He loved it. I loved it. And despite the disparity in our awareness of the brand we loved it for the same reason: the Muppets are amazing. 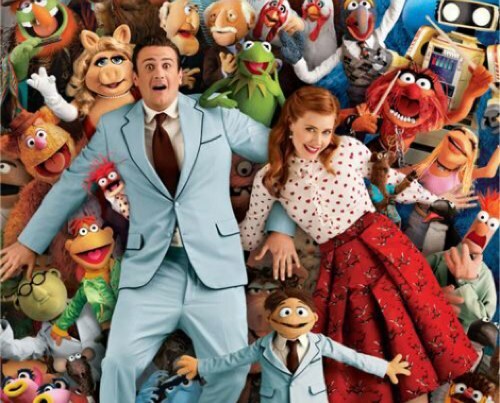 Several times, the film jabs at the perception of the Muppets as out dated or culturally irrelevant and writers Jason Siegel and Nicholas Stoller work feverishly to disprove the theory with any weapon they can. In fact, the plot strains at times by a Jay and Silent Bob Strike Back-esqe references to previous works. “Haven’t you seen our first movie?” responds Kermit when asked how he intends to get his band back together. More successfully, Siegel and Stoller nail the smart without sarcasm, cute short of cloying innocent tone that makes this such a magnificent and, yes, relevant franchise. The real muscle of the movie is in the songs. 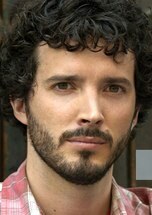 Flight of the Conchords’ Bret McKenzie is credited with the best of them. Some bare the wordplay or stylistic hallmarks of his previous work (“Me Party” and “Let’s Talk About Me”) the big production number (“Life’s A Happy Song”) and power ballad (“Man Or A Muppet”) are true triumphs accenting broad emotion with note-perfect Muppetational silliness. He did not write the Kermit-voiced “Pictures In My Head” which I inexplicably cried during. Because I am, in fact, a Muppet of a man. The Muppets are relevant based on the content of their unique and versatile tone. They are relevant because Siegel and Stoller and the cast and crew (including a revolving door of cameos) identify with the vision set forth by Jim Hensen and now under watchful eye of Disney. The Muppets are relevant because we love them. You are currently browsing the archives for the Muppets category.